San Francisco, CA — DDG and DM Development broke ground today on 400 Grove, the second of three condominium projects planned for Hayes Valley by the development team. Designed by award-winning Fougeron Architecture, 400 Grove will introduce 34 residences at the corner of Grove and Gough Streets, continuing Hayes Valley’s rise as an active, walkable neighborhood. 400 Grove’s faceted facades, echoing classic San Francisco bay windows, angles windows to capture views of Hayes Valley’s bustling street scene and surrounding hillside neighborhoods. Its studio, one bedroom and two-bedroom residences will open to a central landscape commons and social space shared by residents. 400 Grove reflects DM Development’s local expertise and operating experience, DDG’s success at constructing design-forward communities in San Francisco and New York, as well as a shared commitment to enhancing neighborhoods through thoughtful, well-designed, sustainable communities. 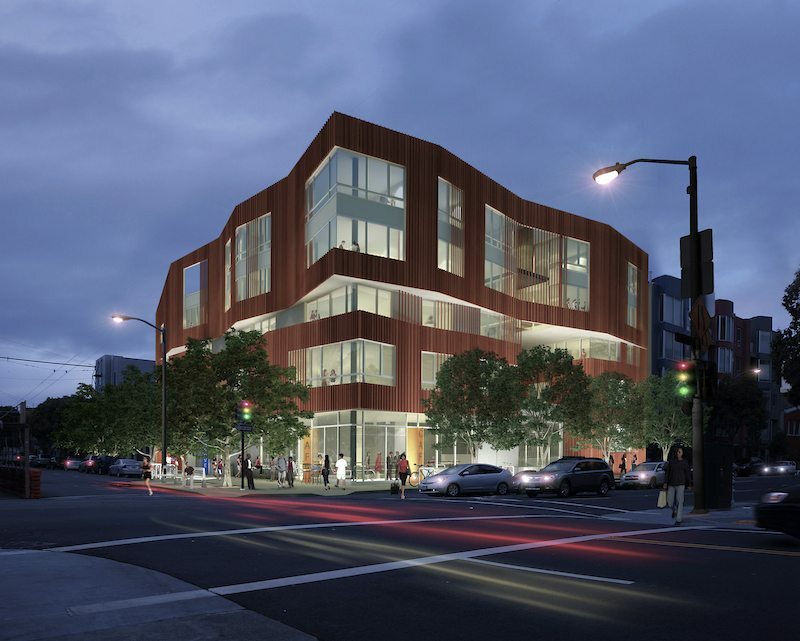 In addition to 400 Grove Street, which will open in late 2014, DDG and DM Development are partnering on two other projects in Hayes Valley: 8 Octavia, designed by Stanley Saitowitz | Natoma Architects and opening in summer 2014, and Handel Architects-designed 450 Hayes.